These nine water color series were previously published in our Preview mode, one that provides all the features of the Archive except illustration descriptions and Image Search; with this republication, those features become available. The republication of the Milton water colors is timed to take advantage of the Archive’s revamped search engines, launched in July, which allow for more detailed, specific and reliable searching of illustration descriptions, and the Virtual Lightbox, our new digital tool that allows users to examine images side by side, as well as to crop, zoom, and juxtapose them for close study. 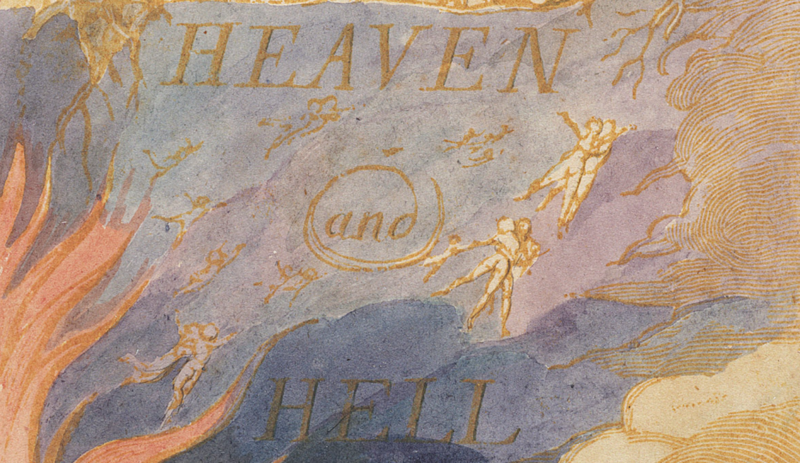 It is the ideal means for studying and comparing Blake’s Milton watercolors. The republication of these nine series represents a major advance toward the Archive’s goal of eventually republishing all works currently available in Preview mode and publishing all new Archive images so that they are searchable.